When Robbie Ferris first presented the idea of a school building that generates more energy than it uses, people were skeptical. 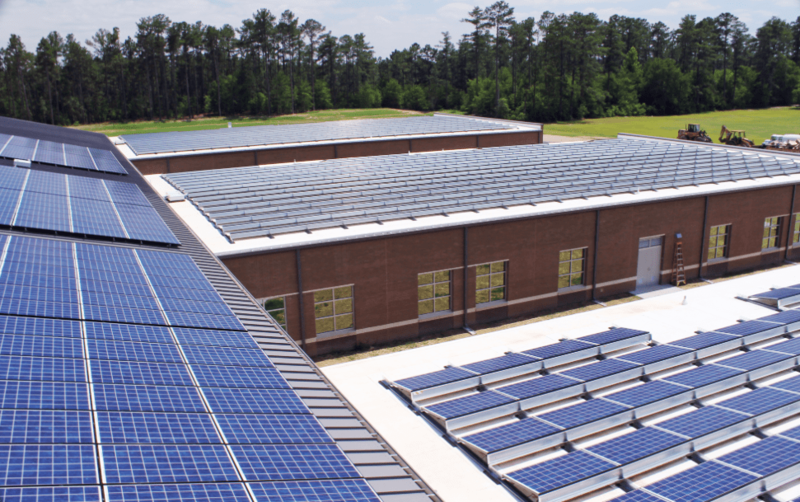 Now he can point to Sandy Grove Middle School in Hoke County, N.C., as proof that a high-performance school building can go well beyond net zero and generate 40 percent more energy than it consumes. 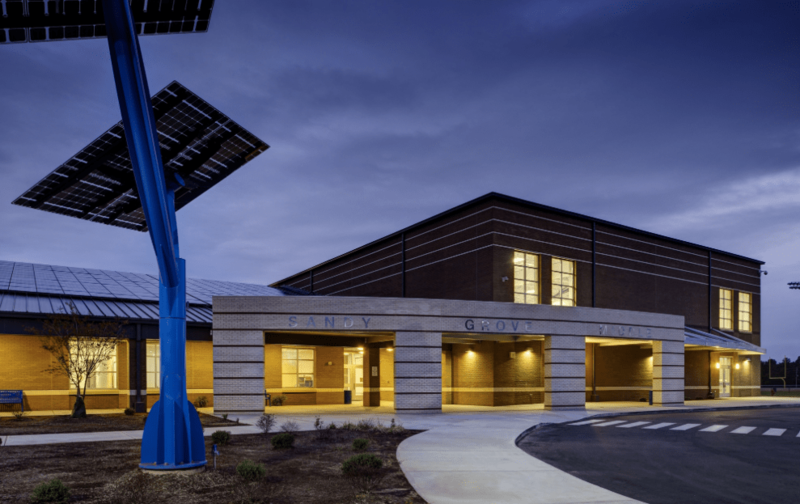 Three years after completion, Sandy Grove Middle School is outperforming its energy models, and the building continues to win accolades. It recently received Energy Star 100 Certification and has been recognized as the nation’s most energy positive school. The installation was a challenging one, but everything went smoothly, notes Aaron Thomas, president and CEO of Metcon Inc. Headquartered in Pembroke, N.C., Metcon is a full-service general contractor that specializes in energy positive commercial buildings, so it was perfectly suited to serve as the construction manager on the project. Thomas and Ryan Parker, senior project manager with Metcon, coordinated the work of subcontractors on the job, including the Youngsville, N.C. branch of Eastern Corp., which installed the TPO and metal roofs, and PowerSecure, the solar installer on the project, based in Wake Forest, N.C. The roof systems covered 85,000 square feet, and Sharp PV panels were installed on both the metal roof and the TPO system. 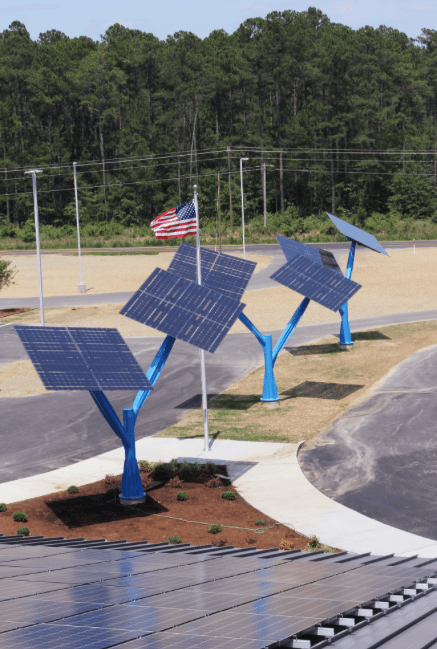 Solar panels were also installed on freestanding structures called “solar trees.” Each solar tree is 20 feet tall, 25 feet wide and weighs 3,200 pounds. 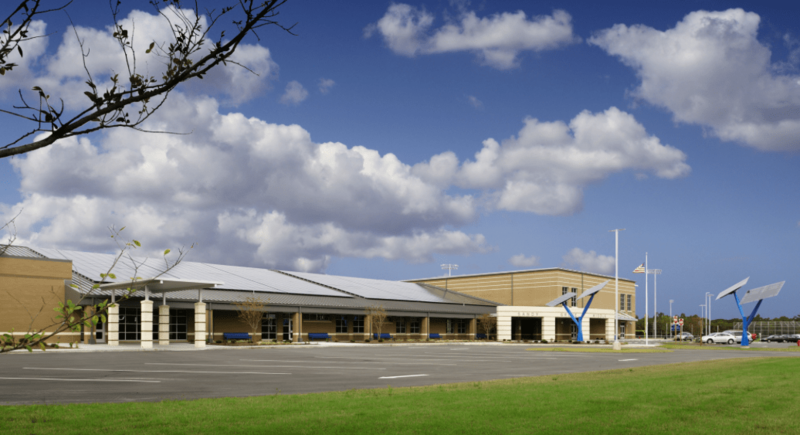 Roofing Contractor: Eastern Corp., Youngsville, N.C.